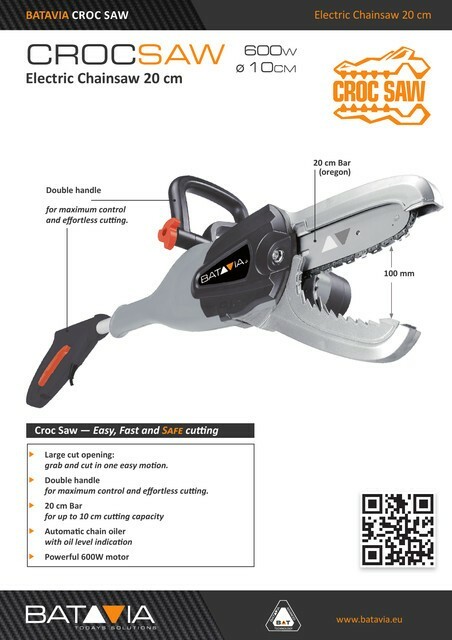 Easy, fast and safe cutting. 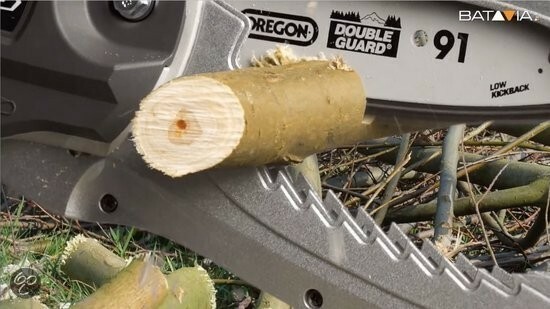 Large cut opening: grab and cut in one easy motion. 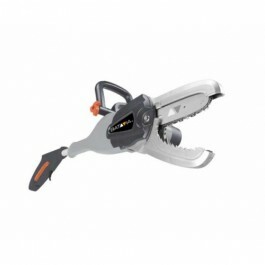 Double handle for maximum control and effortless cutting. 20 cm bar for up to 10 cm cutting capacity. Automatic chain oiler with oil level indication. No load speed (rpm): 4500/min-1. No load chain speed: 8 m/s. Bar length: 203 mm (8”).